The invigorating and seemingly magical powers of the coffee bean were discovered in pre-1000 A.D Ethiopia. Since then, the ritual of coffee drinking has wheedled its way into everyday life; a tradition, a treat, and even a necessity in the modern day. It is no great surprise therefore, that the coffee bean has become a popular icon and a motif which celebrates one of the world’s favourite hot beverages. The first coffee house was opened in Britain in 1651. A taste for caffeine had recently swept the nation upon the introduction of coffee by the East India Company, who we can also thank for the importation of tealeaves (imagine life without these two vital beverages!). This was the first step in the UK’s coffee craze that manifests itself today in trips to Costa and Starbucks. Just marginally before the UK, America also saw the introduction of coffee (most likely) by Captain John Smith around 1610. Rooted in tradition from this point onwards, coffee has retained its popularity over the years throughout the world. Fast-forward to the turn of the 20th century and we find that coffee has become even more commonplace. No longer was it only available from coffee houses and local roasteries but, from 1900 it was vacuum packed by companies such as Hills Bros so that it could be distributed nation-wide, rendering it more readily available for the masses. 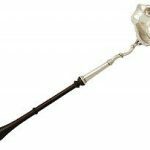 The availability and consequent popularity of coffee being on the rise explains the invention of the coffee bean spoon. 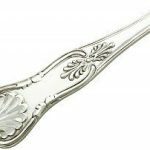 Of course, coffee and teaspoons became a necessity as soon as coffee and tea were popularised. 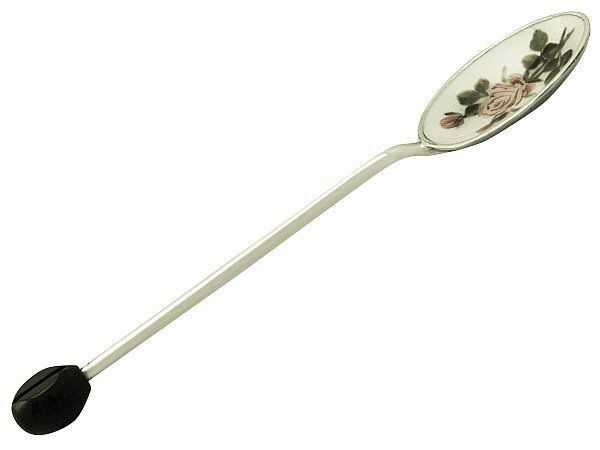 A small spoon used to distribute tea leaves and ground up coffee beans is a must in anyone’s cutlery collection. So why not let the designs of these delicate little spoons reflect the beverages themselves? 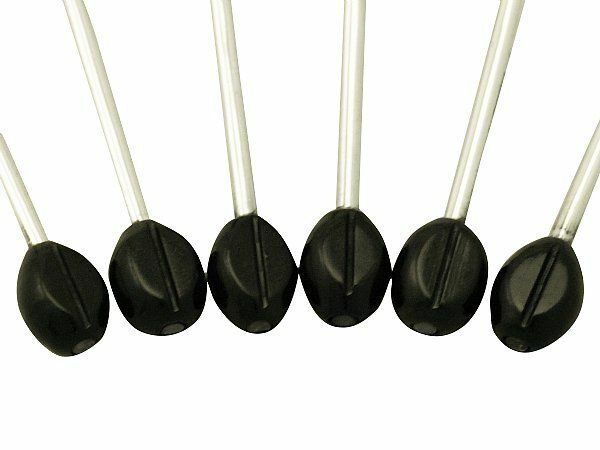 Coffee bean spoons are most self-explanatory in their title: a teaspoon which features a coffee bean shaped finial that would, most likely, be used to serve coffee. 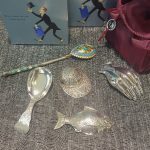 There are many examples of vintage coffee bean spoons from the first half of the 20th century, most commonly found in sets of 6 and neatly boxed. They originated during the Art Deco era (examples can be found dating from circa 1910 onwards) and have a wonderfully novel and vintage nostalgia to them. 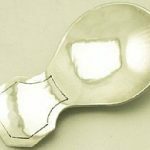 It is likely that these spoons began to be widely manufactured in conjunction with a serious surge in the popularity of coffee- a popularity that was largely a result of prohibition in the USA. From around the 1830s, coffee had been regarded as a temperance drink (something to consume in the place of an alcoholic beverage), and used to reform heavy drinking Americans. A religious magazine at the time stated the opinion “If a man must, from habit, drink at 11 o’clock, let him drink ‘Hot Coffee’.” Therefore, on the advent of prohibition in 1920 coffee saw surge of popularity in the US and- due to America’s widespread influence- worldwide. Coffee had stepped in to replace the role of alcohol and products such as silver spoons had to jump into formation. 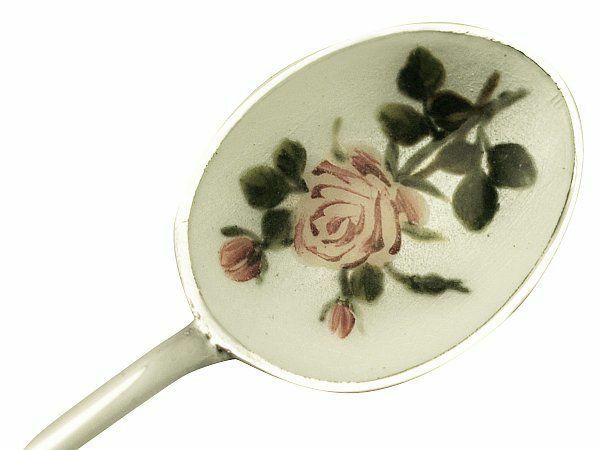 Coffee bean spoons, in the Art Deco style, were crafted widely at this time, reflecting America and England’s reignited love affair with the beverage. The coffee bean finials themselves can be crafted from various materials including enamel (normally black enamel, but quirky bright coloured examples can also be found) and ebony wood. The wooden examples are often crazed in order to give a textured and life-like coffee bean effect. Here at AC Silver we have a fine example of a coffee bean spoon set displayed traditionally as a set of six in their original presentation case. 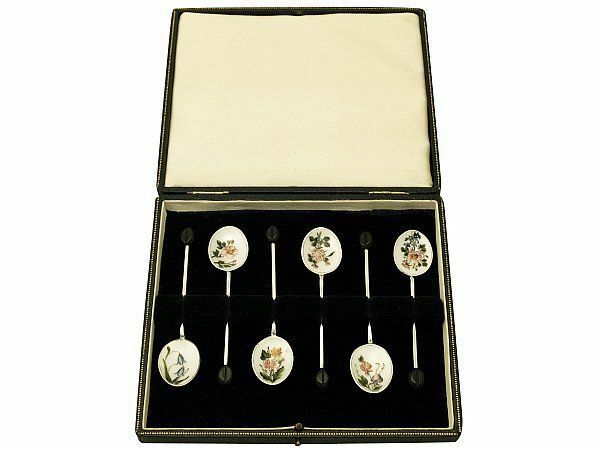 They are vintage 1939, and feature delicate enamel work depicting flowers. 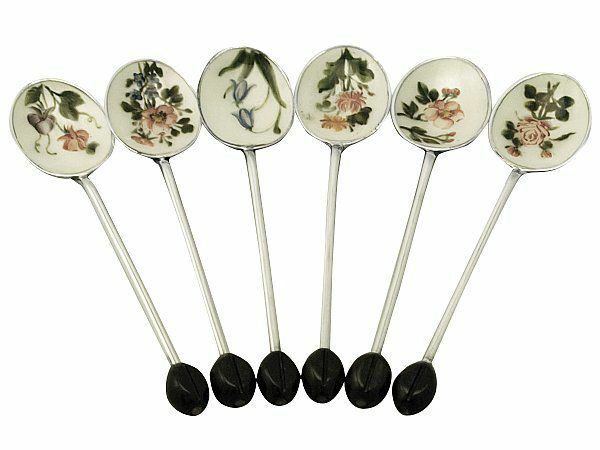 An unusual and truly pleasing set, they would make a wonderfully vintage addition to any coffee service! Previous Entry: What is Cut Glass?